SPACE is our Artist in Residence program at the historic Skirvin Hilton Hotel. As the 2018-2019 Skirvin Hilton Artist in Residence, Bennett will create a series of original short comic book vignettes consisting of original pen and ink pieces, in addition to the creation of a unique Oklahoma-centric comic book. This project will be inspired by landmarks throughout Oklahoma City with the potential of expanding outward to the entire state. Along with this, Bennett invites guests of all ages to stop by the studio to create their very own mini-comic, create a comic book character, ink a penciled comic page, or color an inked comic page. Once the work is created, Bennett welcomes each individual to take their work home with them as a memento. Follow along with Jerry on Facebook and Instagram. SPACE, THE SKIRVIN PASEO ARTIST CREATIVITY EXPOSITION, IS A UNIQUE URBAN ARTIST IN RESIDENCY PROGRAM IN WHICH MEMBERS OF THE PASEO ARTS ASSOCIATION CAN APPLY FOR A YEARLONG ON-SITE RESIDENCY IN OKLAHOMA CITY'S PREMIER DOWNTOWN LANDMARK HOTEL, THE SKIRVIN HILTON. THE SKIRVIN'S ARTIST RESIDENCY PROGRAM OFFERS A WORKING ART STUDIO AND GALLERY THAT IS OPEN TO THE PUBLIC DURING ESTABLISHED BUSINESS HOURS AS WELL AS A $1,000 PER MONTH STIPEND, MEAL ALLOWANCE AND PARKING. For over 100 years the important and historically significant Skirvin Hilton Hotel has been synonymous with purpose, elegance and innovation. Since its inception, the hotel's identification with and support of the arts has been legendary. 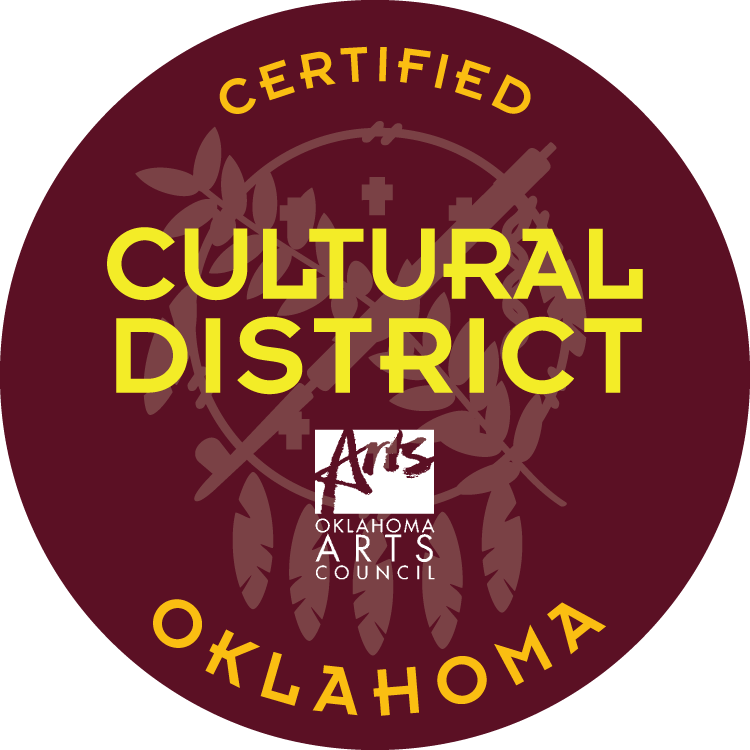 All of the major arts organizations, including the Oklahoma City Philharmonic, the Oklahoma Theater Center, The Oklahoma City Ballet, and Allied Arts have been showcased at the Skirvin. Following in that tradition, the Skirvin Hilton Hotel initiated an Artist in Residency program similar to the one sponsored by its sister hotel, the Pfister, in Milwaukee, Wisconsin. The goal of this very successful program is to support emerging visual artists in the creation of new work. By repurposing what was once a gift shop in the hotel, the Skirvin provides a working art studio where the artist can create his/her work and give hotel guests and visitors the opportunity to observe and participate in that creative process. A hanging and gallery lighting system has been installed so that the artist can display and sell their work during the yearlong residency. The Skirvin Hilton Hotel has partnered with the Paseo Arts Association to market the residency to its membership and to assist in the selection of the artists who will participate in the program. The Paseo Arts Association, whose mission is "to provide a unique environment for the visual, performing and culinary arts,” actively seeks opportunities for the cultural exchange between artists and the public through exhibits, performances and educational programs. It is strongly recommended that artists who intend to apply for the SPACE Residency contact PAA Staff to seek guidance on their application. 2) Be a current member of the Paseo Arts Association. 1) Current resume or CV, including documentation of any and all arts-related coursework. 3) A brief 300-word proposal that outlines the artistic concept, relevance, and trajectory of the proposed body of work that is to be created during the residency. In order to add value to the experience of hotel guests and visitors, your proposal should lend itself to interaction and how you intend to draw guests in. 4) A cover letter describing relevant qualifications and why the Skirvin Paseo Artist in Residency program is appropriate for the creation of your body of work. The letter must also explain the extent of your experience in the materials and processes used as well as a brief statement about aesthetics and working methods. 5) Two written professional references from the regional art community supporting your application. 6) Documentation of any teaching experience (optional). 7) Artist may include catalogues, review and other publications about your art. a. 10 high-resolution (300 dpi or greater) clearly identified digital images in a jpeg format. Image files should be titled with the artist's last name and work's title. 1) Candidate must be available for in person interviews. 2) Finalists must be able to exhibit examples of their work during the interviewing process. 3) During residency, the selected artist will maintain established retail hours. After the initial jury process is complete, a representative of the Paseo Arts Association will contact all applicants by phone to notify artists of whether they will move on to the next round. Five artists will be selected for the first round of interviews, in which artists will have 20 minutes to present their project to PAA staff and the SPACE Committee. The Committee will select three artists for a final interview with Skirvin management who will make the selection. Artist will operate as an independent contractor and not an employee of the Skirvin Hotel or of the Paseo Arts Association (PAA). Artist must secure his/her own general liability insurance and must agree that neither Skirvin nor the PAA shall be held responsible in case of injury, property damage, theft or other loss of property. All works must be for sale. The Paseo Arts Association will receive a 10% commission on all works sold as a result of the residency. Payment of commission will be processed through the hotel.